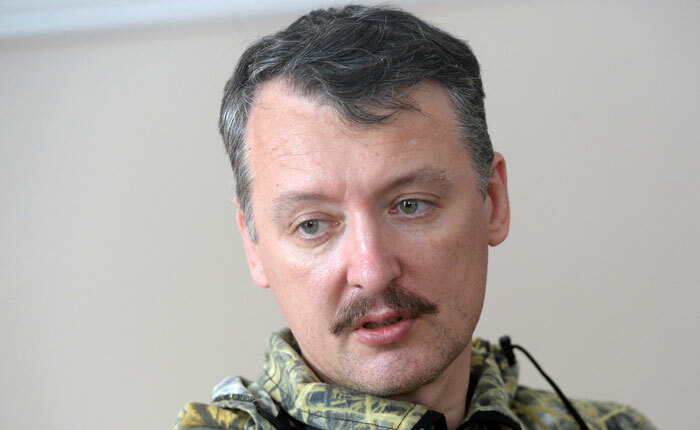 The legendary former commander of Novorossiya, Igor Strelkov, had planned to take part in the Russian March. Many patriots and nationalists were expecting him—with mixed feelings. Andrey Savelyev [leader of the Great Russia political party -ed.] said that Strelkov will march with him and for him. Savelyev is not to everyone’s taste. Even among the nationalists, he stands apart: he is bitterly opposed to the Russian government, but supportive of Novorossiya. There was many a sharp intake of breath when it was heard that Strelkov would be marching alongside him. But Strelkov decided not to go. Instead, Igor Ivanovich went to the temple to pray to the Virgin Mary on the day of the Icon of Our Lady of Kazan. I asked Strelkov why he did not join the Russian March, and he responded to these and other questions with the sincerity and frankness of a soldier. Strelkov: I heard Savelyev’s morning speech, and it angered me. He very improperly used an excerpt from my video appeal, where I called on people to join the march in support of Novorossiya. I was not invited by Savelyev, but, rather, by other people associated with the families of dead soldiers; I do not share many of Savelyev’s political ideas. Svobodnaya Pressa: You’re an experienced person, Igor Ivanovich. You weren’t aware who Andrei Savelyev is? S: Contrary to what they say about me, I have never engaged with the Slav nationalist movement, and I did not know the people operating in this field. I am meeting many of them for the first time. I was attracted by the fact that Savelyev supported Novorossiya, and only this morning did I realize that he also has another political agenda. I wanted a demonstration for Novorossiya that involved people with diverse political views, including people with socialist ideas, and of course, the nationalists. But with people who oppose the Russian state order, I have no truck. SP: Someone tried to set you up? S: I am not ready to consider what happened a set up. People can make mistakes, give in to wishful thinking. SP: Novorossiya was an important turning point in your life? S: Yes, until this campaign I had never been to the Donbass. But after having fought there for four months, I now feel a great responsibility for the people who stayed there. I will do everything in my power to help Novorossiya, even if there are some who do not like this. And aiding Novorossiya is what I called for in my address, which did not say a word about the political situation in Russia itself. Among the supporters of Novorossiya there are monarchists, anarchists, communists, nationalists, and all of them have fought bravely for Novorossiya. SP: You have fought in Chechnya, Dagestan, and other places. Why is Novorossiya so close to your heart? S: In other places I commanded small units, and only in Novorossiya did I get to command the whole theatre of operations, to be responsible for so many people. It is quite another matter. SP: How do you try to aid Novorossiya in your new position? S: There is no “new position” as yet, it is only just emerging. We are forming a social movement to organize assistance to the rear. It is necessary to deliver humanitarian aid, winter clothes for the soldiers, shoes, food. A dedicated and experienced team has rallied around me to work on this. I hope that Russian patriots will help us within their own means, so that the Novorossiya Militia will have everything that is needed. SP: At your press conference, you said that much of the humanitarian aid to Novorossiya was stolen. Did you encounter this personally? S: I myself was continuously fighting the war, and was not involved in procurement. But I believe that much of the aid to Novorossiya was plundered. At least half of everything that was sent to Novorossiya did not reach its destination. Rather large volumes of it disappeared, and no one knows where to. It is in order to change this situation that we are creating our movement, to organize under one aegis food supplies, equipment and humanitarian aid, so that this does not occur again. SP: People say that you have little experience with organizing the rear and with logistics—since you are primarily a fighting man. Do you fear that you will not be able to cope with the supply operation, that theft will happen again, and that the person blamed—that will be you? S: If I were afraid of acting, I would not do anything. I really have little experience in logistics and supply, but I have a good team. I will not be leading the movement as a logistics specialist, but as a man known for his devotion to the cause, a man who is absolutely honest and who is not going to make a profit from aid. SP: November 4 is not only the Day of National Unity, but also the day of the Icon of Our Lady of Kazan. What does this mean for you? S: It means a lot to me. Let me just say that instead of joining the “Russian March” I went to a shrine, and prayed to the Mediatrix of the Russian Land [the Virgin Mary in her role as intercessor -ed.]. I had a choice: a shrine or a march; I chose the shrine. SP: I am hugely impressed by your sincerity and openness. I should like to take advantage of it. Which military operation in Novorossiya are you most proud of? What has been your greatest achievement in battle? How do you rate this campaign? S: For me, the four months of the campaign in Novorossiya—from April to August—were one continuous battle. I can not divide it into individual operations. I made a lot of mistakes—political and military. At first I thought that Russia would quickly recognize Novorossiya, and that is what I built my strategy on. There were also errors because of the lack of military experience. I had no military education, I did not graduate from any military school or academy; I am self-taught, and this affected things. I lacked the military training, knowledge and skills to command a large force, and to organize logistics and the rear. Now, perhaps, there are qualified military specialists and advisers there—I do not know. Back then, there were none. However much we tried, we could not find any. Professional military men apparently waited until we could pay a salary and establish a good supply. Back then, there were only autodidacts, like me. SP: But there was a military leader, known by the call sign “Delphin”. S: I met him a month before my retirement, in Krasnodon. He is, of course, a good military expert, but all of his military experience was in commanding regular troops—where there is discipline and unconditional subordination. But here, we had guerrillas, scattered groups. He did everything in his power, but was not able to fully take command. He could only coordinate between the individual units. SP: And finally—what do you think about the elections held in Novorossiya? S: Discussing how democratic they were is simply ridiculous. Elections in wartime—this is nonsense. I left Novorossiya in August, it is difficult for me to judge who the population supports now. When I was there, I had little interest in public opinion and who the population would vote for. I had a war to fight. So I would rather not discuss the current leadership of Novorossiya. Thus, Strelkov stubbornly refuses to integrate into Russian political life, and even more so, into the extreme political opposition. Some may not like this, but Strelkov has little interest in public opinion. He does what he believes is right.